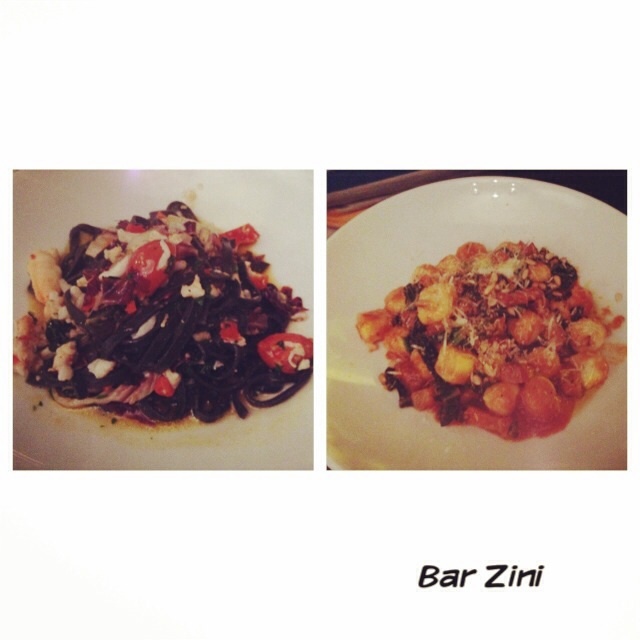 With an ever changing menu, Bar Zini keeps the menu fresh and interesting with an Italian influence. Tonight's menu included prawn, ricotta, garlic, radicchio and pesto pizza ($21), and pippis with chilli, garlic and crusty bread ($21). The insalata options included caprese, Roma cherry tomato, buffalo mozzarella, and basil ($16) and a fresh green apple and snowpea tendril with gorgonzola and hazelnuts ($18). My bestie and I couldn't go past the pasta options for the night. Squid ink linguini with spanner crab, cherry tomato, chilli and garlic ($25) and the handmade gnocchi with pancetta, cavallo nero and garlic ($23). 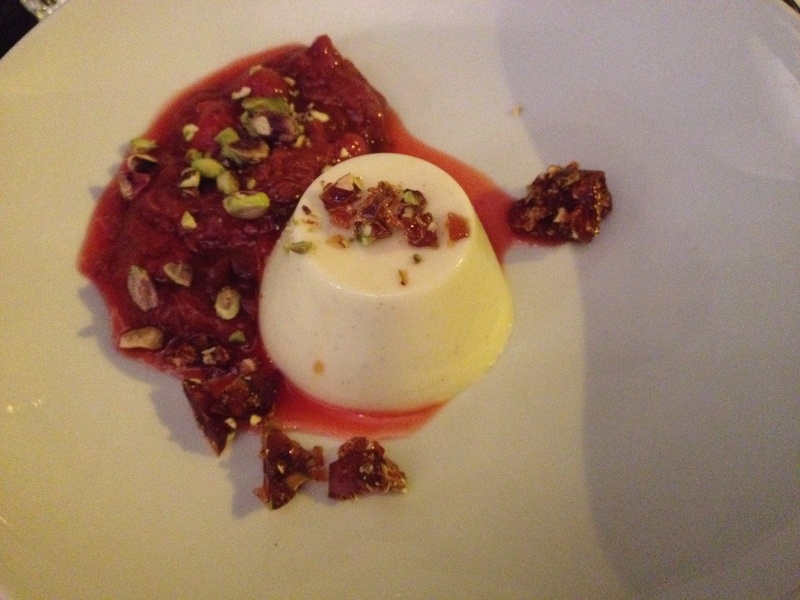 We were close to ordering the main of osso bucco risotto alla Milanese (saffron infused) with gremolata ($27), but we negotiated to fit in dessert of panacotta with rhubarb & pistachios, walnut praline ($16) instead. With attentive staff and boogeyin' tunes, Bar Zini is a sweet intimate space with high chairs for bar service with a handful of tables for indoor dining, and outdoor seating. 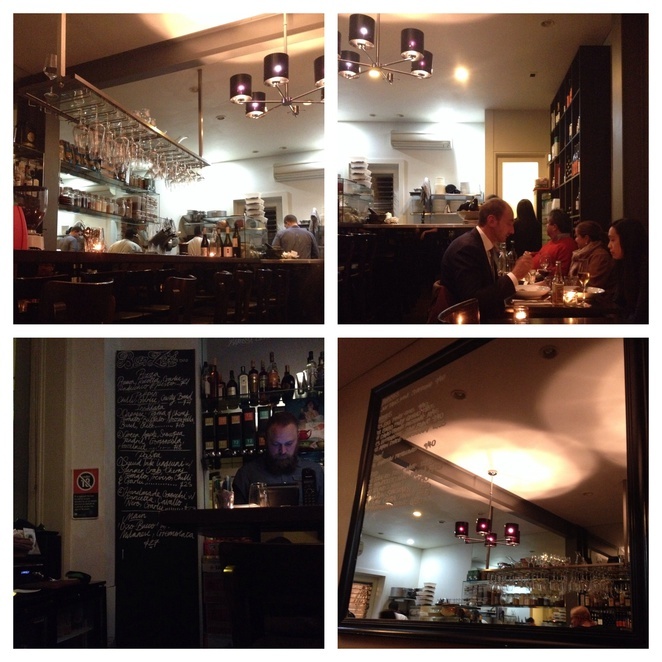 They also run a roast and vino menu on Wednesday which is quite popular. They serve a mean coffee and breakfast too. The locals know this place too well and hence the busy morning service but make time to check out this local gem.